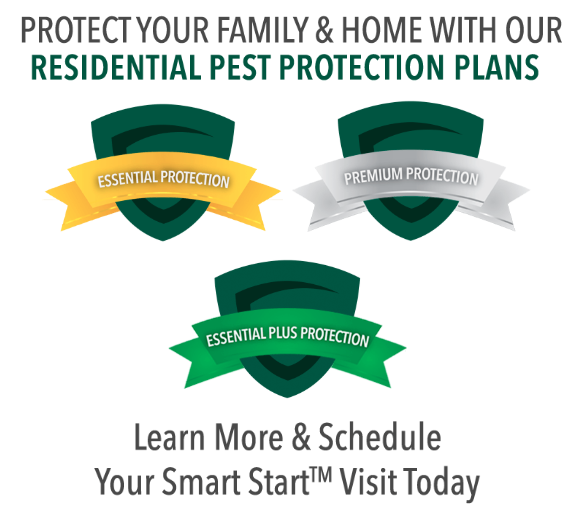 Gregory Pest offers a proven monthly mosquito control program that will help protect your family and pets throughout mosquito season. We recommend this program because there is no way to know if a mosquito is carrying a disease. During mosquito season, which is typically April through October, we will treat your yard, landscape, and the foundation of your home using control products that help reduce the population of adult mosquitoes and can prevent larval mosquitoes from becoming adults. We even offer an all-natural alternative that uses only organic materials. This aside, we can also help with the removal of existing mosquito problems. The development of this plan starts with an inspection by one of our professional technicians. Once they’ve identified the breadth and variety of your infestation, they’ll work to develop a customized treatment plan that includes recommendations on vegetation management and exclusion techniques. The best way to avoid mosquito infestation is by removing the areas that can turn into breeding sites. Look around your home and yard and take a look at areas with standing water. It can develop around improperly maintained gutters and downspouts, birdbaths, pet dishes, and wading pools. If you are unable to keep these areas properly cleaned and maintained, we recommend draining so you can take away their main draw. Combine this with regular use of on-body insect repellents and citronella candles so they’re not drawn to the scent of your blood is a good way to keep them away from your home or business. There are over 3,000 documented mosquito species worldwide and the United States is home to over 150 of them. Their physical characteristics vary, but all mosquitoes have one pair of scaled wings, slender bodies, and long legs. Most are less than 15 mm in length and have vary in coloring between brown, black, and brownish-red. Another distinct characteristic of mosquitos are the sound they make. They make a low whining sound. Mosquito life cycles once again vary between species but for most, it takes only a few weeks for them to develop from egg to adult. Laying up to 300 eggs at a time, the female mosquito feeds on blood while the male mosquito feeds on flower nectar. She lays her eggs in an area that should become wet. The eggs can lie dormant for up to 3 years until water allows them to hatch. 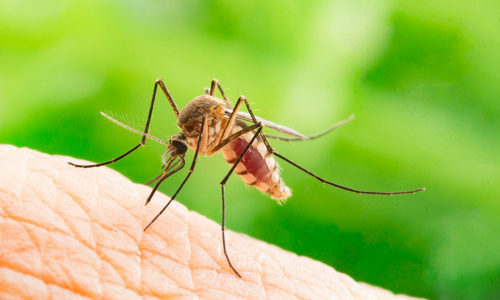 Mosquito bites are generally innocuous but unfortunately, they have the potential to spread a lot of potentially harmful diseases. The World Health Organization (WHO), has said that more than half of the world’s current population is at risk from mosquito-borne diseases. They are known carriers of the Zika virus, yellow fever, dengue fever, malaria, chikungunya, West Nile Virus and a number of other diseases – all of which can be spread by a single bite. You have mosquitoes because your home or business has proven to be an appealing place for them to lay eggs and reproduce. An ideal breeding ground for all varieties of mosquito is one with accessible standing water and a food source, i.e. you.